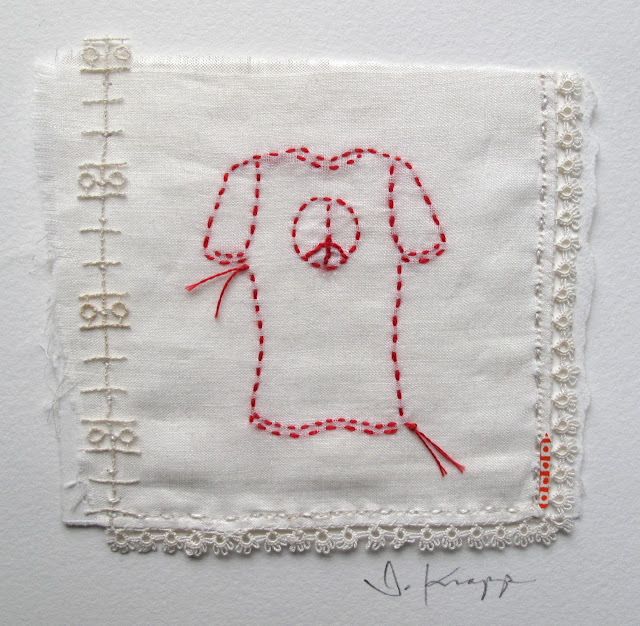 Peace T. Valerie Knapp© 2015. 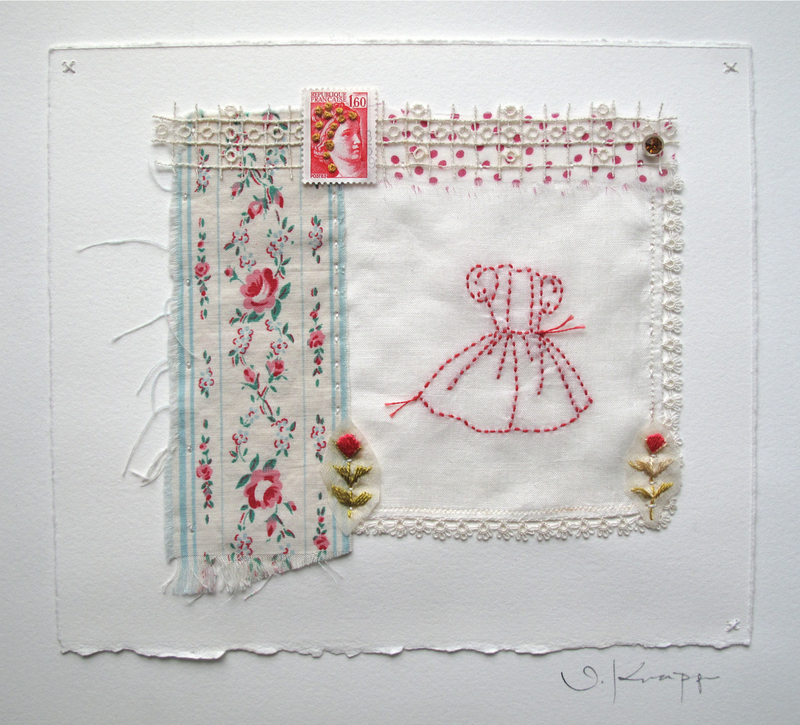 Embroidery, hanky and lace fragments, Japanese and water colour papers, DMC. Memory Dress with Fancy Ticking. Valerie Knapp© 2015. Embroidery, vintage floral ticking, hanky, lace, and embroidery fragments, water colour paper, antique button, postage stamp, silk, DMC.